CK and Nate header: So You Want to go to the Beach? So You Want to go to the Beach? 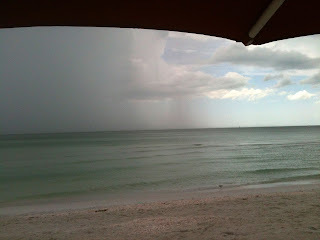 We get a lot of very localized heavy rain storms in the afternoon that tend to hit as soon as you get to the beach. 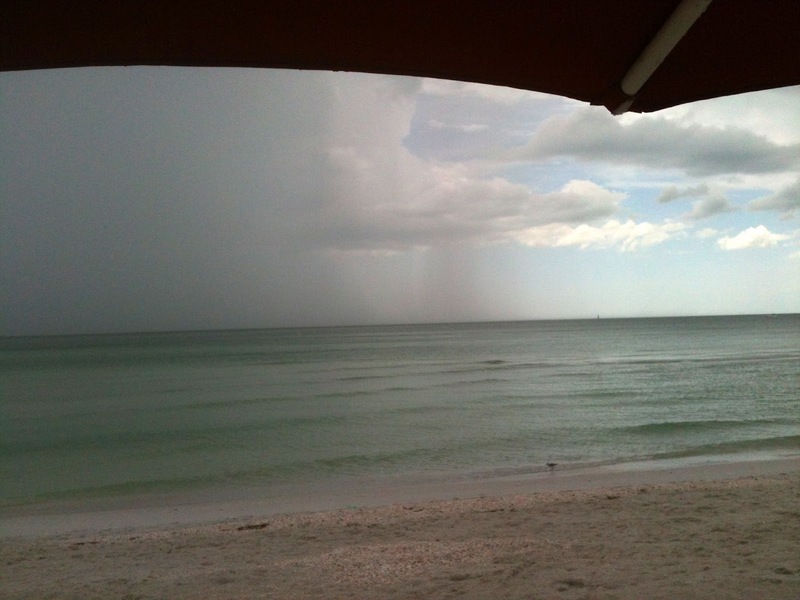 If you are with us though, you will have the only umbrella on the beach that holds up during the rain and wind (I should mention this wasn't a thunderstorm). Our umbrella is a little ghetto. It is really a patio umbrella that my dad and Nate attached to the Earth mover (when they get together they can have some crazy/creative ideas) at our last house so we could work in the shade. At one point during this process, the post on the umbrella got shattered, one of the arms was broken off and a hole was ripped in the top. 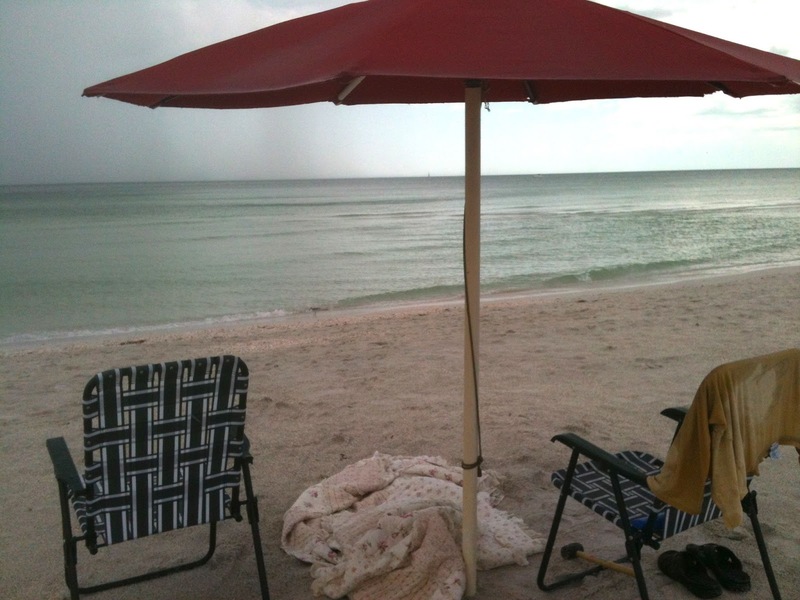 For some reason we decided to move it with us down to FL and after some pvc pipe fixes, it is now our beach umbrella so Nate can hang out in the shade (and apparently hide during storms) which is the only way I can get him to go to the beach with me! So the lessons for today 1) go to the beach in the morning 2) don't use an expensive umbrella on an Earth Mover and 3) PVC and duct tape can fix just about anything!